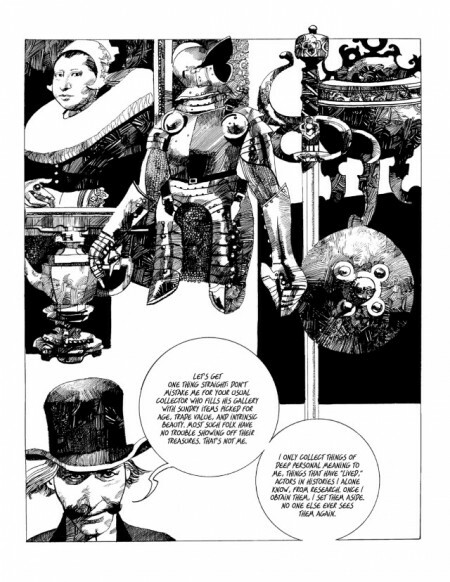 Another stunning collection of translated Sergio Toppi material, The Collector is a compelling and beautiful read. Far from the auction halls of the elite, The Collector seeks out rare and mysterious artifacts across the world. At home in the salons of Paris as he is in the jungles of Borneo, The Collector is a man who has dedicated his life to finding objects very special and almost unknown , which tracks through his research in a variety of locations. But beware, a man who comes into possession of such items does not hesitate to use any means without scruple. 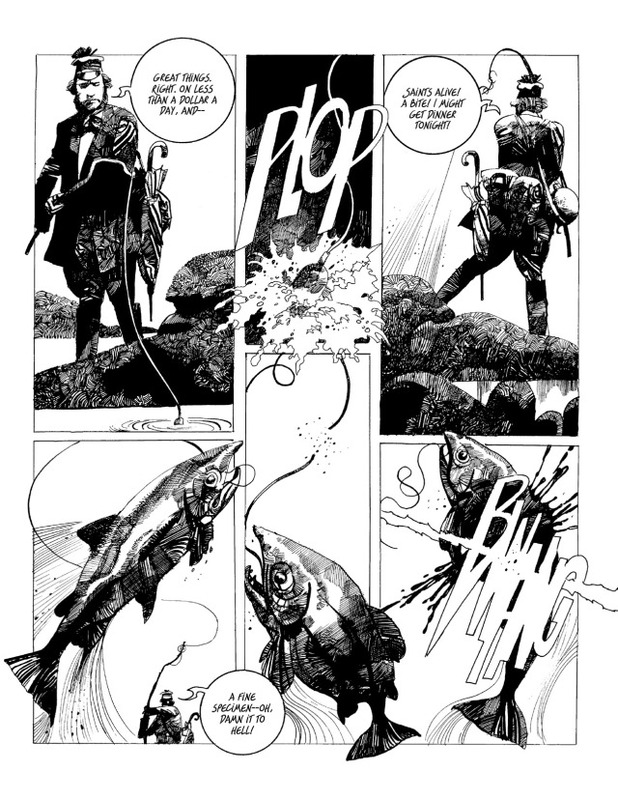 Set against the backdrop of late 19th-century colonialism, The Collector is a delightful, swashbuckling adventure by a master of European comic books – Sergio Toppi! A collection of Toppi’s longest running character, The Collector, a man who will go to any length to acquire and hide away the world’s most wondrous treasures. Just treasures no one has every heard of or thought of as a treasure until the Collector wanted it. Completely unlike anything you’ve read this year, and a must-have for fans and students of graphic narrative. Completely self serving but with a unique code of honour, the Collector is a dichotomy. Time and again he sides with the indigenous people against the colonial powers, but only to get his treasure and keep conflict alive. Or incur a favour for future acquisition. Toppi is making a statement about colonialization and insurgency but I’m not exactly sure what it is. Page presentation and layout stand head and shoulders above anything else you’ve read this year. The Collector is text heavy, but the word balloons are carefully placed to keep the visual narrative strong. Extensive crosshatching deep blacks create a unique and signature look. The fifth and final story The Necklace Of Padmasambhava incorporates a significant amount of pencil amongst the inks, giving a lighter overall look to the pages. The book seems to be organized in chronological order from when the stories were produced but there’s no indication why the pencils are present. There is no colour in book, and it’s not needed. The back cover image applies colour wonderfully to Toppi’s line work, but the front cover image does a disservice to the content. Production is solid, with thick glossy pages, sewn binding and contrasting chapter breaks. There is an introduction by Sean Gordon Murphy and a short biography of Toppi closes out the volume. There is some discrepancy to the book’s cover price. My volume shows $34.99 US while online the book is listed as having a $29.99 Us cover price. At either price this is a bargain for the material contained, and multiple readings are strongly encouraged. 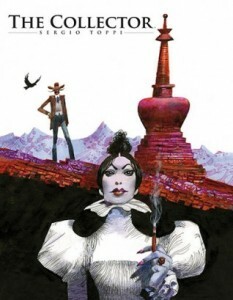 Let’s hope Archaia continues to translate Toppi’s remaining works into English.